With the exception of Compuware, the leaders, New Relic and AppDynamics, are all newcomers. All the old established companies are excluded from the leader’s quadrant. Gartner separates APM and analytics products, suggesting that the latter are mere complements. However, when paired with third-party applications, these analytics products are perfectly capable of replacing APM. Our hypothesis is that the whole APM market will move into two specializations: analytics engines and agents for gathering performance metrics across different monitoring disciplines. Many new analytic or log management products are entering the market. 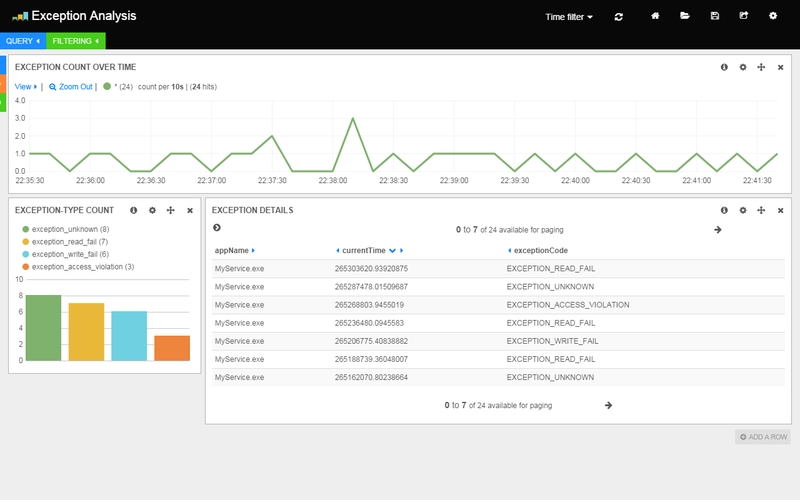 Our new product ActivityLogger can send desktop and server metrics to an analytics product. 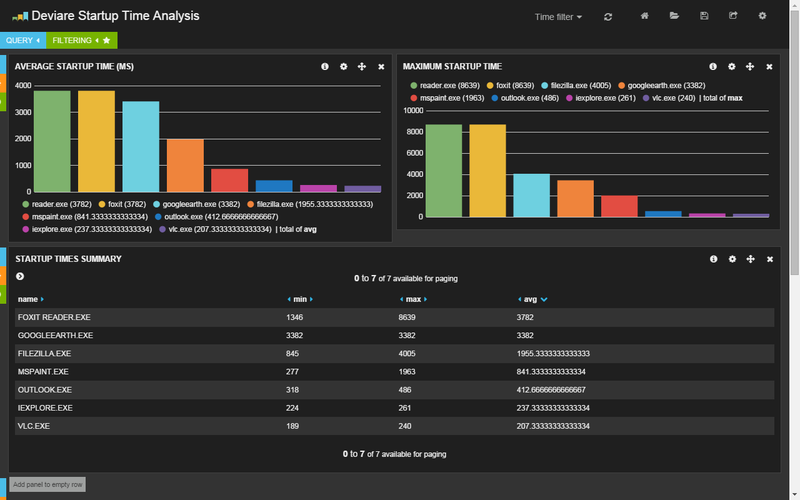 In the example below, we send user experience metrics to Elasticsearch and display the results with Kibana. Please, support our blog reading our services: Windows driver development, Windows software development and application packaging services. September 23, 2014 March 7, 2016 Sebastian WainComments are off for this post.